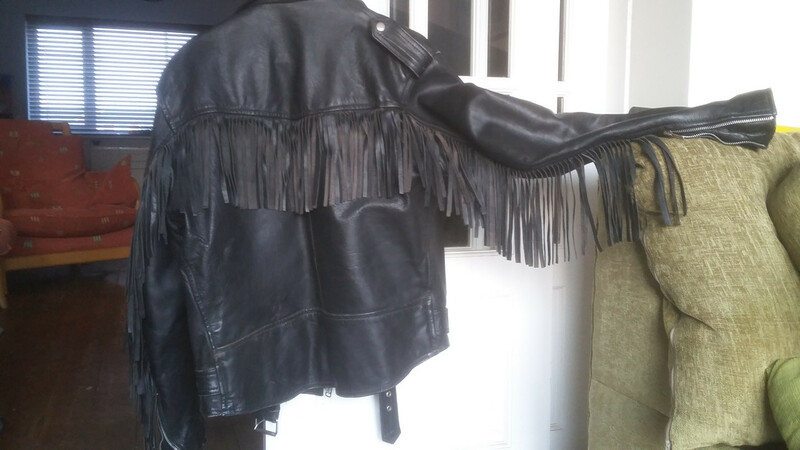 Got me self a Sunday ticket for the Revival, I will be mostly wearing a tasselled leather jacket . Go on get yourself down, you know you want to. It's not for the likes of me and you Nob....it's for those well heeled RC30 riding southern pufters. Fixed it for you Tifa. That's Harry's stomping ground isn't it? Harry lives about 40 miles north of Goodwood. 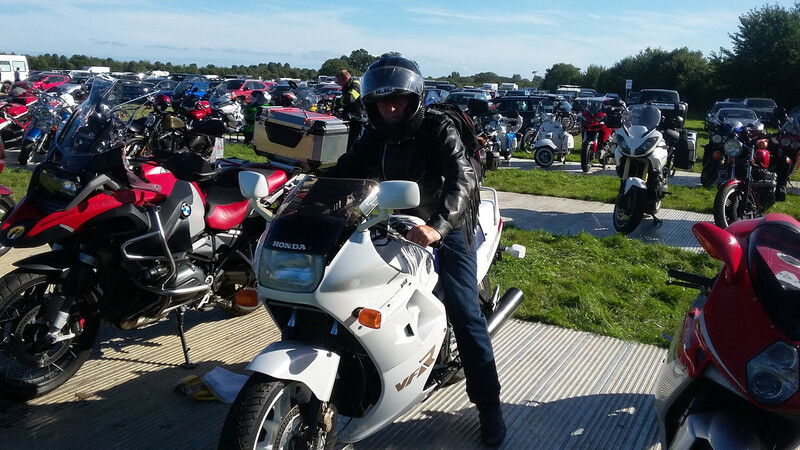 Cleaned and polished the VFR750 on Sunday, dug out the old leather jacket today, weather forecast for Sunday is good, can't wait . Now if someone has an old Triton to lend me I'd be made up. Wow T, that's a jackit and then some. Do they qualify as anti hassle tassels. Holy 70's retro jacket Batman! Me missus was given it about 20 years ago by an ex biker. It almost went in a skip a few time but I'm glad I saved it now.